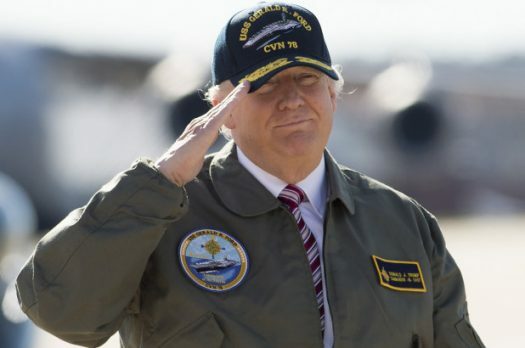 The White House confirmed last week that Trump has instructed the Pentagon to explore staging a military parade. The event, reportedly set to occur on Veteran’s Day, would take place down Pennsylvania Avenue and would be “a celebration at which all Americans can show their appreciation,” according to press secretary Sarah Huckabee Sanders. The lavish plan harkens to similar North Korean practices: shameless displays of military force, intended only to intimidate the rest of the world while simultaneously promoting blind nationalism. Typically, America reserves military parades for ends of wars, presidential inaugurations, or other special events. This is different. There is nothing separating this veteran’s day from any other veteran’s day. Trump’s parade will accomplish nothing outside of reaffirming a hostile, militaristic image of America in the international community. That’s the exact opposite of what America needs. The winter olympics have brought a warming in relations between North Korea and South Korea. Now is the time to capitalize on that warming by establishing America as a stabilizing force.